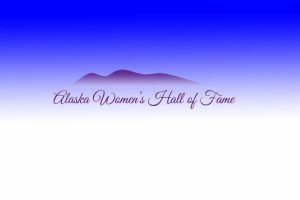 The Alaska Women’s Hall of Fame is dedicated to honoring, in perpetuity, women whose contributions have influenced the direction of Alaska in any field, including, but not limited to the arts, athletics, business, community service, conservation, education, government, health, the humanities, Native affairs, philanthropy, politics, theology and science, among others. In May, the induction ceremony was held for all of the Class of 2017 women. 11 women were inducted into the Hall of Fame this year.